Upper case, cursive Q. You know the one. Q is the cursive letter that has nothing to do with the printed letter. Why do the cafeteria ladies serve pizza and corn together? If a person could lift their own weight, could they sit in a chair, pick it up and fly away? What’s with upper case, cursive Q? Recess was always right after the pizza and corn were served. Spelling counts if you don’t want people to think you’re a dimwit. Even da Vinci couldn’t work out a person flying under their own power. But no teacher could answer why upper case Q looks like a 2. Back before there were computers, or even electricity, there were people. People who wanted to get their points across and pass on details. At first, drawings served the purpose of a written language. They were just right, as long as you didn’t want to say much more than “Marcel killed a moose with a spear”. Drawings had another draw back. Some people just were not good artists. They had important ideas to communicate, but lacked the talent to depict them. We know that none of these people were my ancestors because art is in my blood. Since only certain people could use them, drawn languages faded out. Society moved on. Eventually, it seemed that there would be some sort of symbol based system, but which? Different cultures developed different symbols. Numbers were already an established force around the world. Pro number advocates pressed for a digit based system. They made inroads into the Cyrillic alphabet that we see used in the Russian language and in the Latin alphabet used in English, among other languages. These pro-number advocates tried to usher in what they called a “digital age”. Their efforts failed. Numbers disappeared from written story telling and eventually, from all communication that didn’t involve mathematics. Digital age was to take on a new meaning a few dozen centuries later. The digital age of alphabetic communication is gone…but not completely. I’m sure you’ve seen the number 3 in Russian/Cyrillic writings. The digital age also explains the 2ueer substitution of a fancy 2 for upper case Q in the cursive Latin alphabet. “Art is in my blood.” Nailed it. I know that is so true that it is ridiculous to remind everyone, but I was just feeling it. Pizza and corn? Never understood that. Pizza and salad makes more sense. And recess AFTER lunch? Another puzzle. Recess makes more sense before lunch. As for the uppercase Q, the numeral 2 just looks awkward. Always has. Pizza and corn is just a standard. I just wonder how it got that way. I don’t believe I have ever used a Q like that. If I did see one I probably did think it was a 2. Maybe we Canadians do them different? That could be. We don’t do the Z with the line through the middle. What line in the middle? I missing out on a lot of information with my letters! I don’ t think that is a Canadian thing. I think it might be a Quebec thing as they do that on their 7s as well. Hey, they use the Q a lot in their name…maybe that’s where this all began. 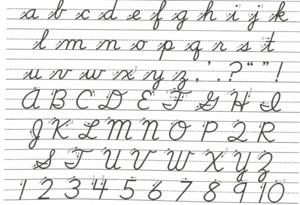 I wish I had seen the cursive chart over the weekend. I totally fudged up signing my soon-to-be last name. I’m glad you’re practicing it. Let me know if it is like continuing to write 2012 on checks until early February. I’ve never done the upper case Q like that, either. Maybe I was busy pondering the whole pizza/corn topic when our teacher was teaching Q in second grade. If you were pondering the pizza/corn connection it was time well spent. It is one of lifes great mysteries. You know, Cyrillic alphabet also has a 4, and both alphabets have a zero. So the language has been digitized more than we think. Enjoyed your take on this. As an astro-numerologist, I play with letters and numbers all the time. And, yes, I was taught to write the capital Q that way, only with the tail swinging slightly below the line. Alas, on lineless paper, where does it go? So I gave up this symbol after a few years and reverted using the printed version of the Q instead. Life is all about choice, after all. Am I being serious or using humor? You decide! Q b or not Q b? Is that even a 2uestion? If i had a dollar for every time someone asked me that id have 1ne. No, actually the infamous “2-shaped” Q arose from Baroque-era efforts to write the standard Q in one stroke — without picking up the pen. This required starting the Q’s oval at the bottom: the “six o’clock position” from which the Q’s tail would sprout. However, starting at this point was troublesome enough that people grew last, and wouldn’t actually go ALL the way down to “six o’clock” to start the letter. Instead, they started it only partway down (at “seven” or “eight o’clock” — eventually at “nine” or “ten o’clock”), leaving out more and more of the oval’s left side. Result: today’s conventional 2-shaped Q: which the U. S. Postal System, by the way, has tried to get handwriting publishers to change back to a REAL capital Q, because the 2-shaped one causes problems for the handwriting-recognizer robots that the Postal System now uses to sort mail. Well, yeah, if you wanna be truthful about it. Interesting about the postal robots. And I agree with those being the best dishes in any school cafeteria. But why pair them up? The result is one really good lunch and four adequate lunches. Breaking the pair up spreads their deliciousness over two days. Yeah, why? I think that’s why newspapers are fading out. It isn’t the Internet, it’s the F7. pizza and corn are filling foods, starches help with kids burning energy and the govt/food agencies don’t charge much for those items. School cafeteria ladies need to comment . 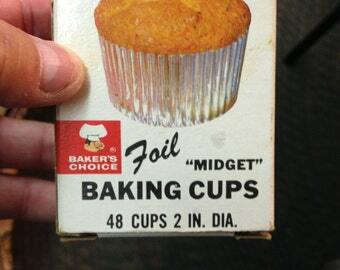 that makes sense…and kids will probably eat them. I really enjoyed this article, and I am so glad I found it! Thank you for closing the case on the cursive 2 mystery. My children are certain that I am secretly a lunch lady because I often fix a dinner that is similar to what they serve for lunch at school (there have been times I was spot on item for item), the day of, before or the day after Yet, even I cannot solve the mystery of pizza with a side of corn. Really? Please let me know when you serve tomato soup and tater tots. I’ll be right over.